I reviewed my Titan one today and updated the firmware to 2.17. 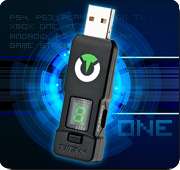 I plugged in the Titan one into my ps4 and connected my xbox one controller via USB, unfortunately my xbox one controller still becomes unresponsive after 10 minutes.. Can someone please tell me if I’m doing something wrong? Thanks. Enable the “PS4 Partial Crossover Support ” in the device settings. This options is disabled by default. Connect your device on PC (using the mini-USB cable), open Gtuner and click on Tools -> Options. 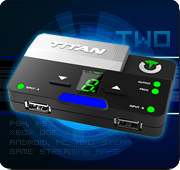 In the options window, click on the Titan One tab and check the “PS4 Partial Crossover Support”. Additionally, check if the output protocol is set to AUTOMATIC or PS4, this configuration is under the Device tab.